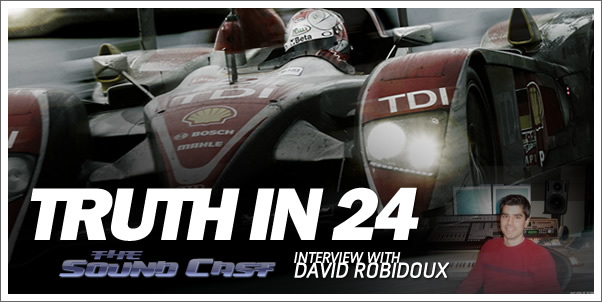 Composer David Robidoux shares about his latest project TRUTH IN 24, a NFL Films documentary focusing on the Audi Race Team and their competition in the 24 hours at LeMans race. 02:25 - Interview part I: How did NFL Films come to do this project? Download, stream, or subscribe to listen here!